Removing a claim from a role. I will be using a simple Admin , user example to explain how Gateman.js works. Gateman.js helps to reduce the amount of code used for authorization, by breaking it down authorization paths into Roles and claims with understandable syntax .We create roles using gateman as so gateman.createRole(roleName); Here is a code example showing how to create an admin role. Also making claims are similar to creating roles: gateman.createClaim(claimName); Here is a code example showing how to create a claim let enables deleting. Note: If the claim isn&apos;t assigned to the specified role it does nothing. Note: The Gateman hasRolesAndClaims class is loaded into a valid mongoose model which means that the methods are only accessible to valid user objects. 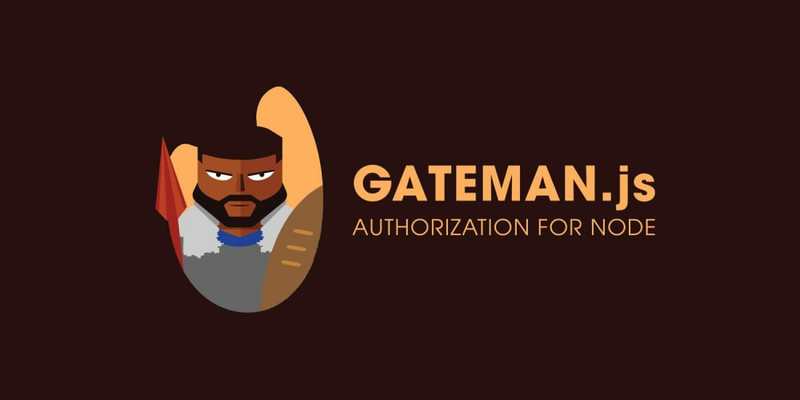 Gateman.js is a hack for Authorization, with less code and it is open source. I will really recommend checking it out and contributing to the project. Happy Coding!